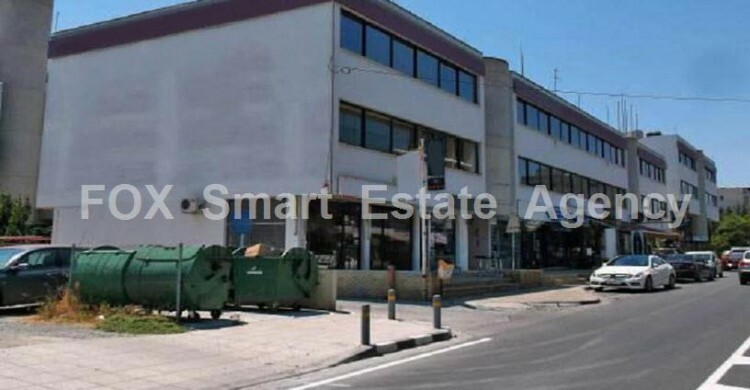 A commercial building with a total area of 2.210 sqm located in Strovolos, Nicosia.The area has a mix of commercial and residential properties with showrooms, shops, offices, apartments and houses. In the nearby area many residential properties can be observed. 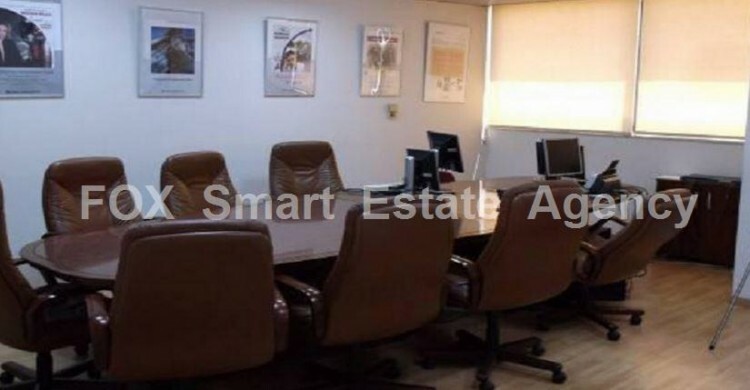 Due to its location, it offers excellent accessibility to Nicosia city centre and the surrounding areas. The property consists of a total of 12 offices, which are all connected and which form one unified property. Currently there are two office areas on the ground floor, five on the first floor and five on the second floor. In detail, the building consists of the following areas: The ground floor comprises an open plan area, a conference room, 3 office rooms, a storeroom and bathrooms with of total area of 204 sqm. The mezzanine comprises 2 open plan areas, 2 office rooms, a conference room, a storeroom and bathrooms with a total area of 105 sqm. The 1st floor comprises 5 offices, a small kitchen, a computer room, a photocopy room and bathrooms with a total area of 790 sqm. The 2nd floor comprises 5 offices, a small kitchen, 2 store rooms, a photocopy room and bathrooms with a total area of 790 sqm. 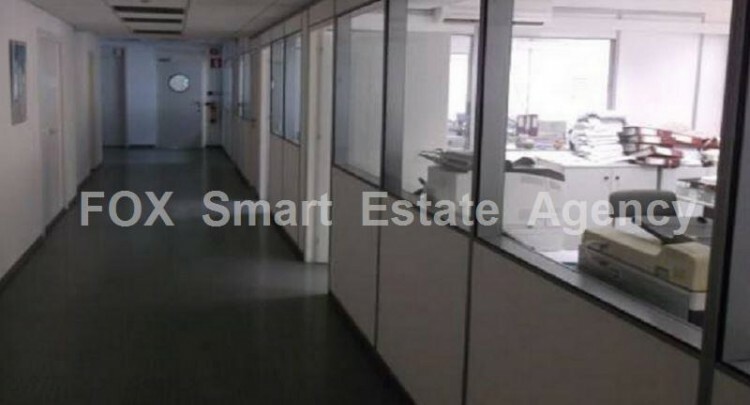 The property has also a basement with a total area of 321 sqm, which comprises a single storeroom/archive room, an extra auxiliary area, an office, storerooms, a cafeteria, a seminar room, bathrooms and other auxiliary areas. 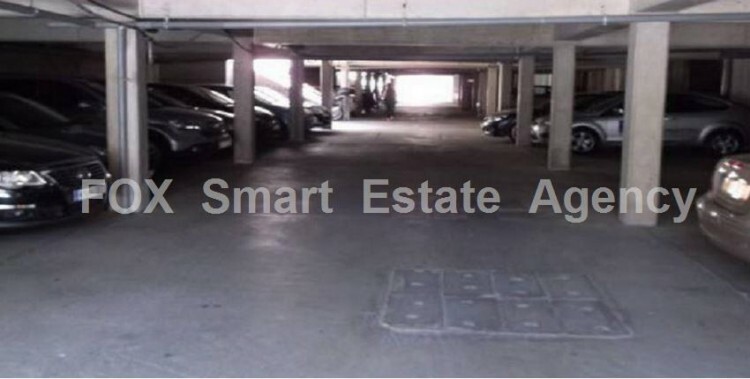 It offers 27 parking places in the basement area. All urban features must be checked with the proper authorities.